Figure 15-2. 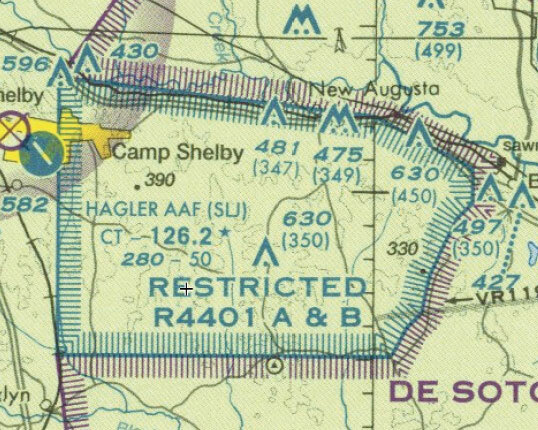 An example of a prohibited area, P-40 around Camp David. If the restricted area is active and has not been released to the FAA, the ATC facility issues a clearance that ensures the aircraft avoids the restricted airspace. 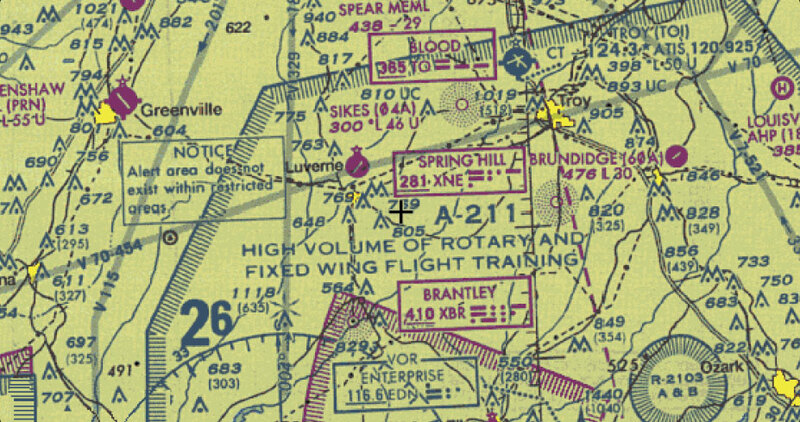 Restricted areas are charted with an “R” followed by a number (e.g., R-4401) and are depicted on the en route chart appropriate for use at the altitude or FL being flown. [Figure 15-3] Restricted area information can be obtained on the back of the chart. Figure 15-3. Restricted areas on a sectional chart. Figure 15-4. Requirements for airspace operations. MOAs consist of airspace with defined vertical and lateral limits established for the purpose of separating certain military training activities from IFR traffic. Whenever an MOA is being used, nonparticipating IFR traffic may be cleared through an MOA if IFR separation can be provided by ATC. Otherwise, ATC reroutes or restricts nonparticipating IFR traffic. 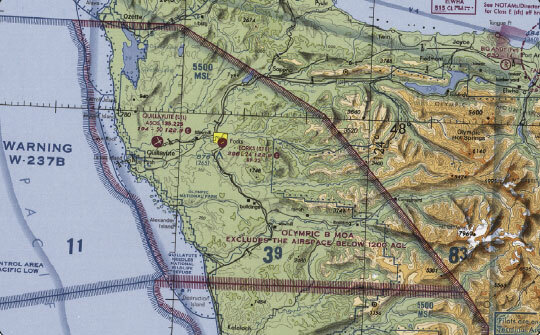 MOAs are depicted on sectional, VFR terminal area, and en route low altitude charts and are not numbered (e.g., “Camden Ridge MOA”). [Figure 15-5] However, the MOA is also further defined on the back of the sectional charts with times of operation, altitudes affected, and the controlling agency. CFAs contain activities that, if not conducted in a controlled environment, could be hazardous to nonparticipating aircraft. 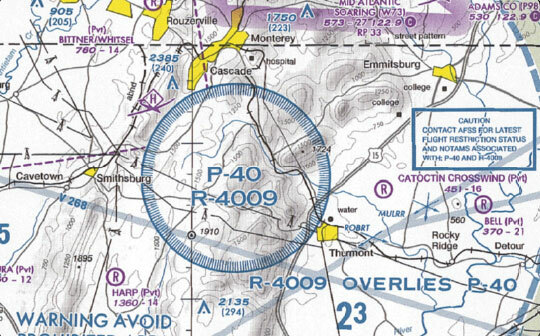 The difference between CFAs and other special use airspace is that activities must be suspended when a spotter aircraft, radar, or ground lookout position indicates an aircraft might be approaching the area. 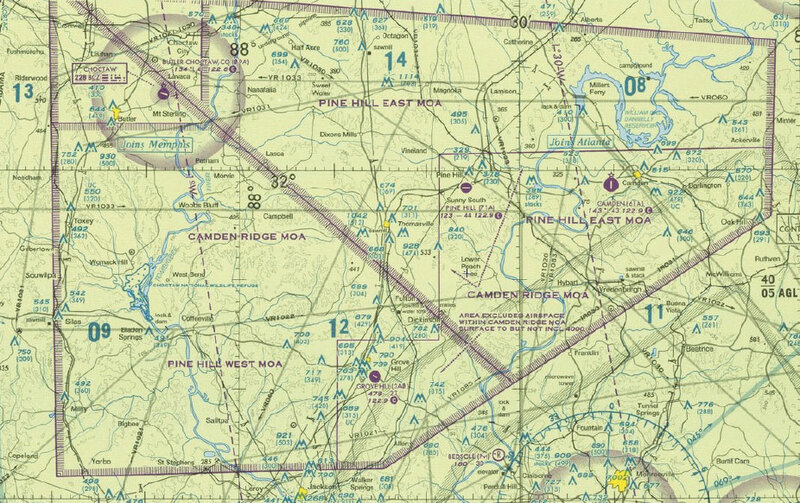 There is no need to chart CFAs since they do not cause a nonparticipating aircraft to change its flight path.